Are you a Little Mermaid fan? Did you grow up watching this great film or is the little girl in your life just discovering this classic movie? Well you are going to love the new edition of THE LITTLE MERMAID! This Diamond Edition is on 2-Disc Blu-ray+DVD Combo Pack with Digital Copy and is arriving October 1st here is a little more information about this great movie. 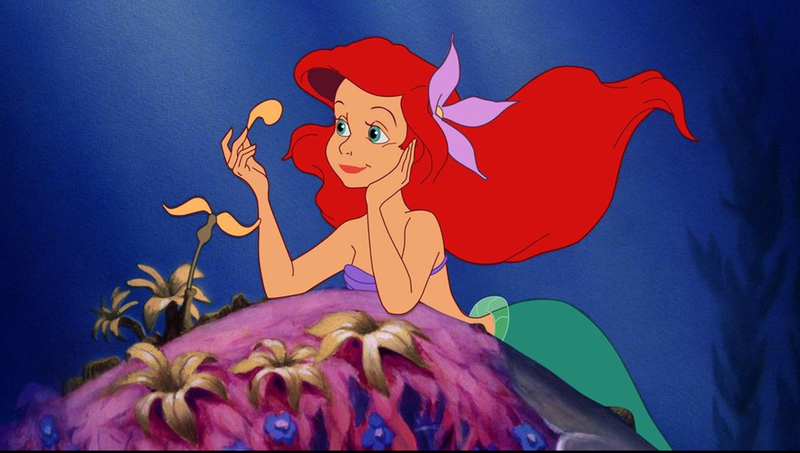 This fall, The Walt Disney Studios invites families everywhere to rediscover the film that gave voice to a whole generation as “The Little Mermaid” splashes its way into homes for the first time ever on Blu-ray™ for a limited time only. 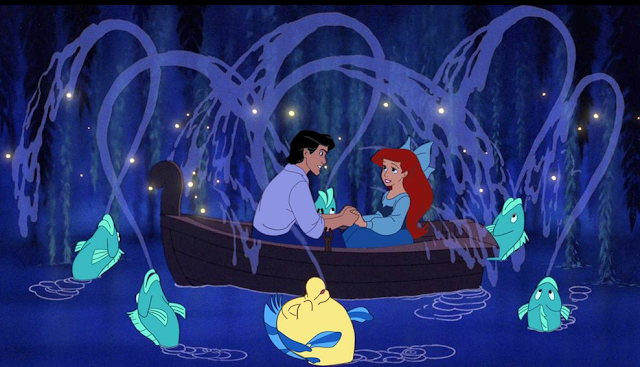 One of the most celebrated animated musical films of all time and two-time Academy Award®-winner (Best Original Score and Best Original Song “Under the Sea,” 1989), “The Little Mermaid” tells the magical tale of the mermaid princess Ariel and her lovable underwater friends, Sebastian and Flounder. Now, viewers can experience Ariel’s adventures like never before with sparkling high definition picture and sound, then explore the making of this modern family classic with all-new bonus treasures. “The Little Mermaid” becomes a part of your world like never before with never-before-seen bonus features guaranteed to entertain families on land…or under the sea! Under the Scene - The Art of Live-Action Reference - Directors Ron Clements and John Musker reminisce about how they revived the art of live-action reference for animation with “The Little Mermaid.” You will view uncanny footage of these sessions that match directly to some of the most iconic scenes in the movie. Part of Her World: Jodi Benson’s Voyage to New Fantasyland – “The Little Mermaid” has been an important part of Jodi Benson’s world for the past 25 years. Bringing Ariel to life has brought her closer to experiencing an enchanted life. Now, as a mother, she wants to bring this magic to her children and make it part of their world and there is no better place to do so than at New Fantasyland at Walt Disney World. 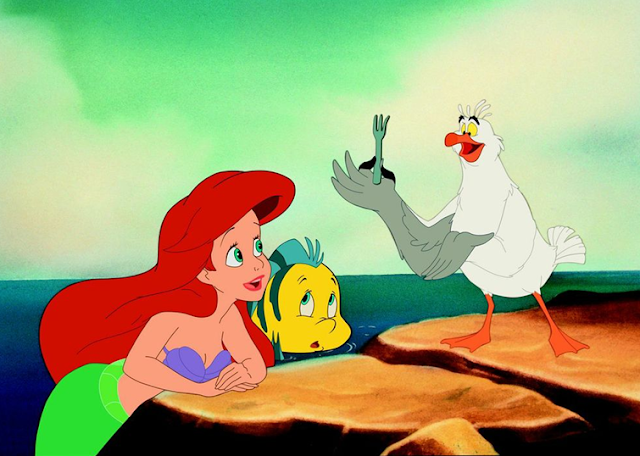 Howard’s Lecture – Howard Ashman was not only the lyricist and Executive Producer of movies like “The Little Mermaid” and “Beauty and The Beast.” He also influenced the whole renaissance of Disney Animation. Join him as he gives a lunch-time lecture around the time he was new to the studio where he walks the animators through the songs of the film and his take on music and songs for the stage and screen. Much of this archival video has never been seen before…until now. Classic DVD Bonus Features Include: Treasure’s Untold: The Making of the Little Mermaid, Storm Warning: The Little Mermaid Special Effects Unit, The Little Mermaid: The Story Behind The Story, Under The Sea Early Presentation Reel, Original Theatrical Trailer, Deleted Scenes with Introductions, Disney Song Selection, Audio Commentary with Ron Clements, John Musker and Alan Menken, “Kiss The Girl” Music Video Performed By Ashley Tisdale, The Little Match Girl With Intro, DisneyPedia: Life Under the Sea, Under The Sea Adventure: A Virtual Ride Inspired By Disney Imagineers. Disney has finally has let one of my favorite classic Disney films out of the vault. Well what is the Disney vault you may ask? Well this is when Disney in a way retires films from being produced in dvd form. 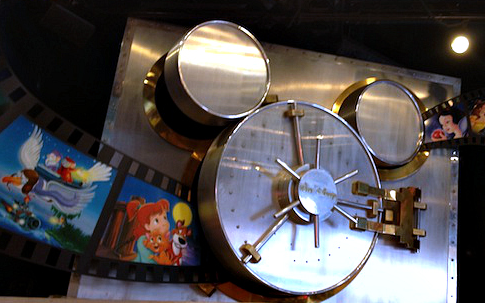 I was able to visit the Disney “vault” when I visited the Disney Soda Fountain in Hollywood this past June. As you can see there is a movie reel that goes all around the store that shows all of the retired films. The Little Mermaid was originally released in 1989, that seems like a lifetime ago for me I was in grade school (yes I know I am reveling my age a bit…) and life was easy and going great and my favorite movie was The Little Mermaid. I remember going to the theater with my parents and my friend to see the movie it was magnificent. I wanted to be Ariel, to have the chance to get your prince, to be brave enough to be your own person and have great friends and family to support you. My favorite ride in Disneyland was Ariel’s Undersea Adventure, this ride took you through the story of The Little Mermaid, as you ride along in a clam shell experiencing the story through animatronic characters. Here are some pictures, to get you in the mood to see The Little Mermaid. 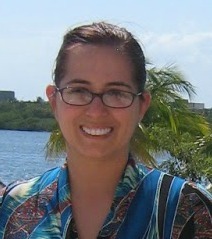 I loved Ariel because she was not the typical princess, she was different and so very sweet. So when I had the chance to review The Little Mermaid diamond edition, I could not wait. Not only would I be able to see the classic movie that I have always loved, there are an amazing amount of extras on this 2 disc set. My daughter and I loved watching the Crab-E-OKE Sing-Along (ha ha I get it!) We got to join Sebastian the Crab for Crab-E-oke Sing-Along featuring Part Of Your World, Under The Sea, Poor Unfortunate Souls, Les Poisson and Kiss The Girl. The great songs that are just as popular today as they were back then. I loved seeing the deleted character Harold the Merman. You are so used to the characters that are in the film, they all fit so well. How would this film have been different if Harold had made the cut in the final film? I for one liked the character, but I guess it just did not work? Overall we loved the dvd, the quality was wonderful. Much better than the vhs copy we had in our collection. We loved the extras and enjoyed it all very much. So if you are looking for a great dvd to purchase for the little one in your life they will just love The Little Mermaid. With the holidays right around the corner, why not pick this dvd up it would make a great stocking stuffer. 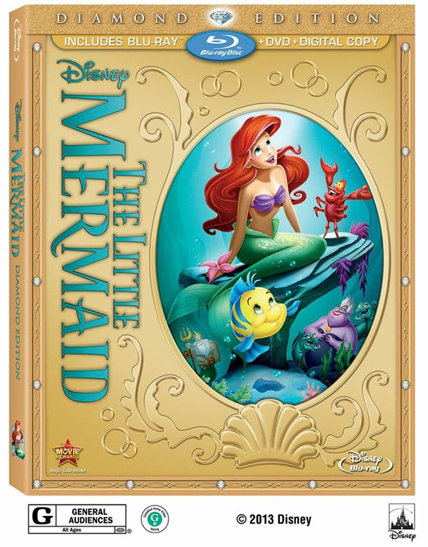 Are you a fan of The Little Mermaid, and are you excited to check out this Diamond Edition DVD? Who was your favorite character? Hands down my favorite Disney movie! Oh how fun! The Little Mermaid was always one of my favorite movies, glad to see it rejuvenated so that young kiddos can still enjoy it as much as I have! We love the Little Mermaid! Cannot wait to own it on DVD. I can't believe that movies is almost 25 year old... it seems like yesterday. I will definitely keep my eye out for the combo pack - love that you have both a digital and DVD copy in those! This is in my top 3 favorite Disney movies. Glad to see it coming available! Little Mermaid was my now-19 year old daughter's favorite movie. I can't believe it's out again!